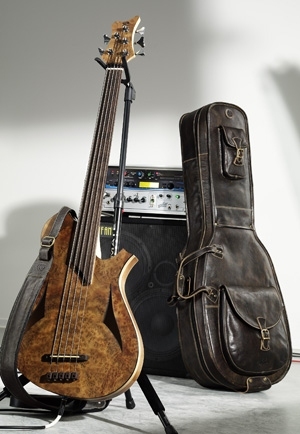 For acoustic basses with a length up to 119 cm. Made out of hand antique finished calfskins. Produced from full grain leather with a worn, used finish. looking and very durable antique brass fittings. With a detachable neck support.